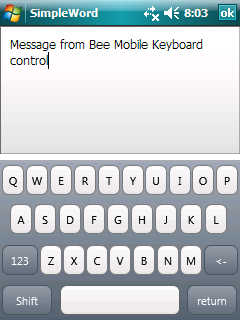 If there is any layout you can’t find here, please write us to support@beemobile4.net or send a screenshot. We will try to make one! 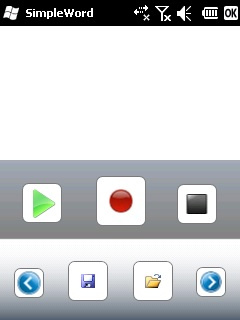 KeyboardControl allows you to use pictures in buttons. 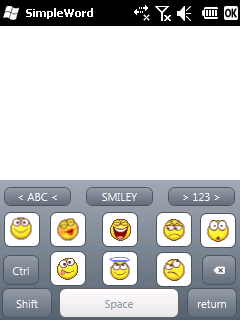 There is keyboard with smiley buttons in this layout. Simple keyboard layout for recorder application. Simple keyboard layout with symbols. 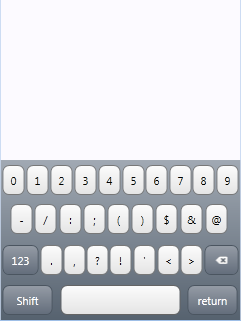 Simple keyboard layout with alphabet.